*Hunter Douglas Authorized Dealer* Premier Interior Design Showroom serving Trade Professionals, DesignSourceCT, LLC occupies 25,000sf of smartly designed, light-filled showroom space. DesignSourceCT, LLC offers design professionals throughout the tri-state area a service-oriented, comprehensive design showroom, eliminating the time and expense involved in commuting to Boston or New York City.DesignSourceCT,LLC welcomes retail customers to browse the showroom and is pleased to facilitate referrals to qualified design professionals. Located at 1429 Park Street, (NE corner Park St and Bartholomew Ave) in the Parkville section of Hartford, the showroom is located on the first floor of a five-story restored factory building dating from the early twentieth century. Parking is free, convenient, and plentiful. Elevator access is available through the Park Street entrance. DesignSourceCT, LLC offers design professionals access to custom furniture, fabrics, trims, wall coverings, drapery hardware, floor coverings, art and decorative accessories, window coverings, and custom bedding, at a variety of price points. In addition, for those designers requiring immediate product availability, a vast array of occasional pieces, accessories and lighting are available on a cash-and-carry basis. Enhancing the one-stop shopping experience, DesignSourceCT, LLC collaborates with a custom drapery workroom, antique showroom, and oriental rug gallery on the premises. In so many ways, we offer one-stop shopping! Hours: We are open Monday-Friday from 10 a.m.- 4 p.m.
Stephen Hammer of Urban Forest Furniture, has been designing and making handmade furniture and cabinetry since 2001. 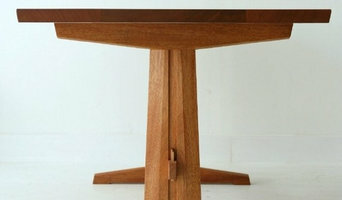 His work has been published in Fine Woodworking Magazine as well as several design books from the Taunton Press. Urban forest Furniture ships to all locations. 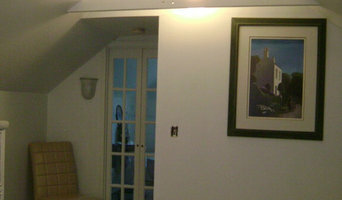 Along with our line of furniture we also design and build custom woodwork. Custom Framing Depot is a full service frame shop located in West Hartford Connecticut. We have a single mission at Custom Framing Depot- "To provide beautiful, quality framing that won't break the bank and always with exceptional service". Cherry Brook Woodworks- specializing in hand crafted custom furniture, antique reproductions, furniture restoration, custom built- ins and unique cabinetry. Peter Aleksa, owner of Cherry Brook Woodworks, works closely with private clients, interior decorators, architects and museums to reproduce or repair antique furniture and design custom pieces that will last for generations to come. We have been in business for 20 years. I design and build high end custom furniture that is built to last generations. I tend to design sleek, elegant pieces that embody organic details. I do a lot of handwork, which allows me to work to create a unique piece of extremely high quality. 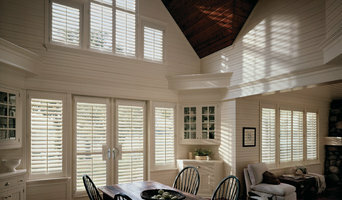 We work exclusively with local wood species in New England. By sustainably harvesting our timbers we are salvaging the history of these trees that would otherwise be firewood or mulch. We own and operate our own sawmill and kiln to produce top quality furniture grade lumber for our furniture. 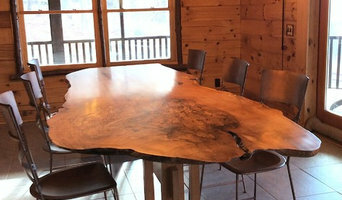 We specialize in handcrafted tables and custom cabinetry. I utilize a variety of techniques and tools in my shop. Much of my furniture making joinery and finishing is done with traditional hand tools. Each piece we create is as unique as the tree it came from. We work organically with the trees so we are not imposing our will on them, rather listening to what the wood wants to become. If I am happy with the piece and the customer is happy, we have done that tree justice. Take your time on any buying decisions. If contemporary is your style, don’t buy something traditional because it’s on sale. 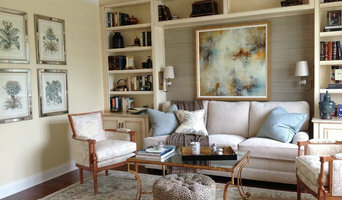 Many Connecticut home furnishers offer interior design consultations or room planning guides to get you started. Whether you decide to work with a home decor specialist or to become your own expert, it’s important not to rush the furniture-buying process. Visit plenty of West Hartford, CT showrooms and stores so you can feel comfortable with your purchase. Find furniture and accessories manufacturers, showrooms and retailers on Houzz. Narrow your search in the Professionals section of the website to West Hartford, CT furniture and accessories, then choose the nearest metro area for showrooms and retailers. Or you may want to look through Connecticut photos to find designs you like and contact the furniture manufacturers and showroom galleries directly.